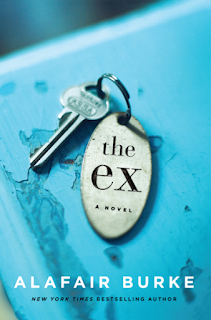 The Page 69 Test: "The Ex"
Alafair Burke is the New York Times bestselling author of The Ex, Long Gone, If You Were Here, and the Ellie Hatcher and Samantha Kincaid crime series. This is what makes the Page 69 project so fun: a bunch of words removed from their surrounding context. OK, so what's going on here? 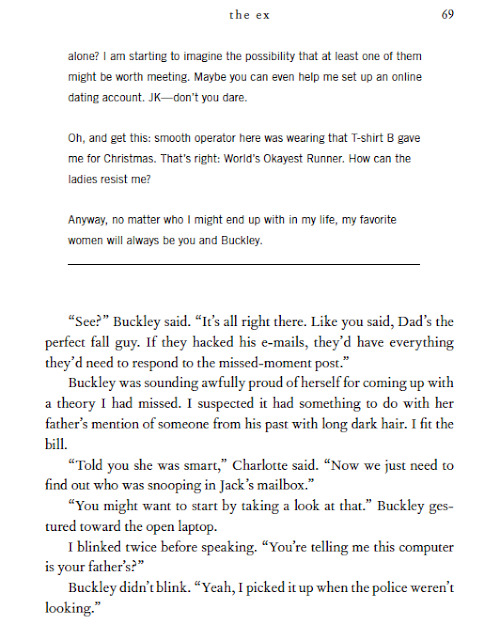 The beginning of the page is an email from widower Jack Harris to his best friend, Charlotte. He's telling her about a woman he saw at the crack of dawn, barefoot in last night's party dress, drinking champagne from a bottle while reading a book in the grass. Maybe, he says, he's open to meeting someone new. Why do we care about the email? Because busybody Charlotte responded by placing a "missed moment" ad online, searching for the mystery woman. When the mystery woman responds by inviting Jack to the waterfront for a second encounter, really bad things happen. Three people are shot, and one of them just happens to be connected to the death of Jack's wife three years earlier. Jack is arrested for a triple homicide. Who else is on page 69? Buckley. She's Jack's teenaged daughter, the one who calls a lawyer for her dad after he's arrested. And the first-person narrator? That's Olivia Randall, the defense lawyer. But she's not just any defense lawyer. She's also Jack's ex-fiance, the one who ruined his life twenty years earlier. The one who hurt him so bad that even his daughter knows Olivia will be willing to fight for him now at any cost. For Olivia, saving Jack is a way to make up for past regrets--to absolve herself of guilt from a tragic decision, a secret she has held for twenty years. In the process, she might also save herself. Learn more about the book and author at Alafair Burke's website.